10 permanent and 1 seasonal. Ashford’s monthly Farmers’ Market launched in the town centre on Sunday 6th July 2014. It has once again been placed in the top 10 farmers Markets in Kent for 2016. In 2015 it was placed in the Top 10 at only 6 months old! 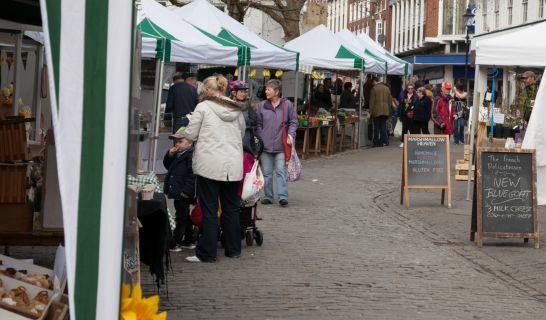 Ashford Borough Council launched an exciting farmers’ market in the Lower High Street on the first Sunday of every month excluding January, from 10am to 2pm in July 2014. 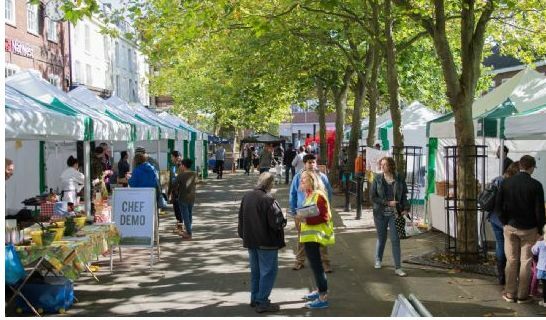 Working alongside the KFMA and the Town Team, Rachel Heather took on the job to create a vibrant market that adorns the Lower High Street each month providing a platform for Local Producers to showcase their Artisan products. 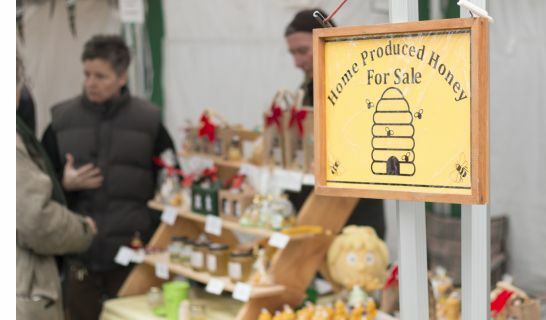 The market has steadily grown each month since inception and supports 20 regular stallholders and has had up to 31 at special events. Having celebrated it's 3rd Birthday in July 2017 and its third Christmas Evening Market on December 21st 2016 which was the BIGGEST market to date Ashford has bloomed. It has established a regular band of traders a list of guest traders and a whole host of repeat custom. It continues to provide variety and consistency for it's shoppers and a great atmosphere each month of local food, drink, music and people with the addition of a Café style centre of tables and chairs for dwellers. FREE parking for customers in Edinburgh Road Car Park(TN248LG) Station Road (TN231PP) and Flourmills(TN248PA) Traders can park free with Permit provided. 1. *** IMPORTANT UPDATE *** Ashford Farmers' Market will not be running in February this year.